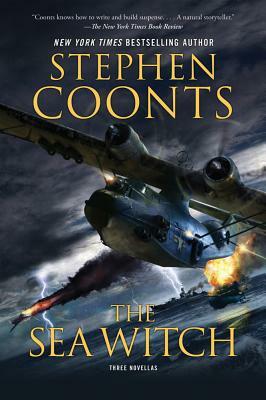 When young Dauntless dive-bomber pilot is sacked for reckless behavior, he's reassigned to a Black Cat squadron as the co-pilot of a giant Catalina seaplane, "The Sea Witch. "He's thrown into a whole new world, where a Catalina carries five tons of bombs, a half-dozen machine guns, and a crew that walks a fine line between valor and a death wish. A daring night bombing mission against Rabaul forces the crew of "The Sea Witch "to band together as never before. Each man will soon find out what he's made of..and not everyone will make it back alive. Seventeen days the average life expectancy of a British Aviator during WWI. Last three weeks, and you were practically a veteran. Paul Hyde dropped out of college to join the Royal Flying Corps, looking for a grand adventure. And grand it was, or so he assured himself when planes were crashing all around him. Today is his seventeeth day. Will be he be able to beat the odds? Charles Dean is retired from the military, determined to be done with that part of his life. But when Julie Girard, the daughter of his old commander, seeks him out, he can't say no to a simple lunch. What she has in mind isn't quite so simple. She wants Dean to help her kill the terrorists who murdered her parents. She offers him three million dollars and the chance to avenge his commander's death. This novella collection gathers these three evocative tales from "New York Times" bestselling author Stephen Coontsinto one cohesive volume. Here is Coonts doing what he does best--writing about men and women at war. STEPHEN COONTS is the author of sixteen "New York Times "bestsellers that have been translated and published around the world. A former naval aviator and Vietnam combat veteran, Coonts is a graduate of West Virginia University and the University of Colorado School of Law.